Join us on Sunday 4/28 as we host a training ride with The Bicycle Chain starting from their Apex location (see below). Details: 9:00 am Start (Arrive by 8:45 am) 40-45 Miles – Route A Ride: 18-20 mph B Ride: 15-18 mph All participants will receive a FREE Victory Ride t-shirt. 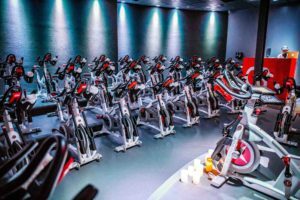 Join us on Saturday 5/4 as we host a training ride with InsideOut Sports starting from the InsideOut Sports location (see below). Details: 8:30 am Start (Arrive by 8:00 am) A Ride: 50 Miles B Ride: 30 Miles Pace: 15-20 mph All participants will receive a FREE Victory Ride t-shirt. 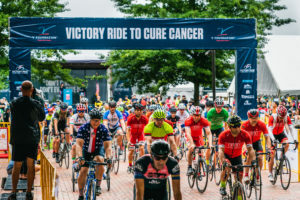 Join us for the Victory Ride to Cure Cancer - a one-day charity cycling event set in the beautiful rolling hills of Raleigh-Durham-Chapel Hill, N.C.